Prezentare Why is eating food in its natural state, unprocessed and unrefined, so vital to the maintenance of good health? What is lacking in our modern diet that makes us so susceptible to degenerative disease? What natural elements in food may play a key role in unlocking the secrets of life extension? These fascinating questions, and many more, are answered in Enzyme Nutrition. 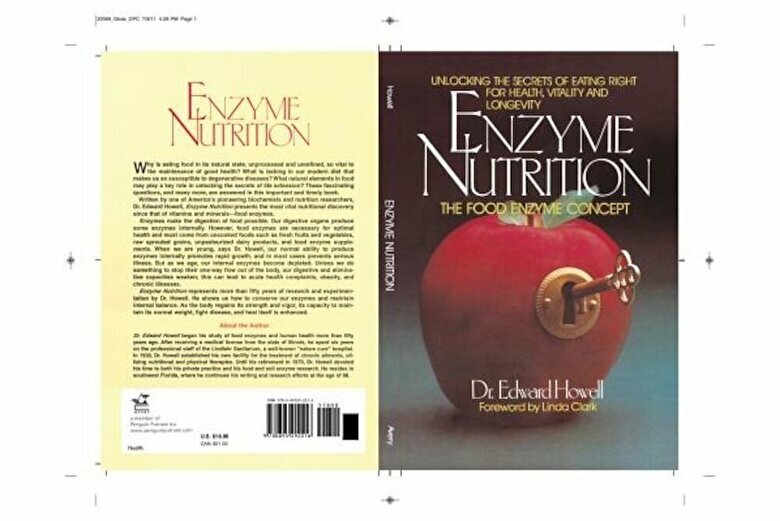 Written by one of America's pioneering biochemists and nutrition researchers, Dr. Edward Howell, Enzyme Nutrition presents the most vital nutritional discovery since that of vitamins and minerals--food enzymes. Our digestive organs produce some enzymes internally, however food enzymes are necessary for optimal health and must come from uncooked foods such as fresh fruits and vegetables, raw sprouted grains, unpasteurized dairy products, and food enzyme supplements.